I want to buy this house design package. How should I buy it ? This house was custom designed. No package available . I was the landscape architect for this project. I do not know color used on house. This fence is made of wood. Fence - Do you know if it's white painted or stained white fence? Enclosed Gothic gardens don't have to be dark and claustrophobic. Gothic buildings, such as the great medieval cathedrals of Europe, were light and airy, with a great feeling of space. 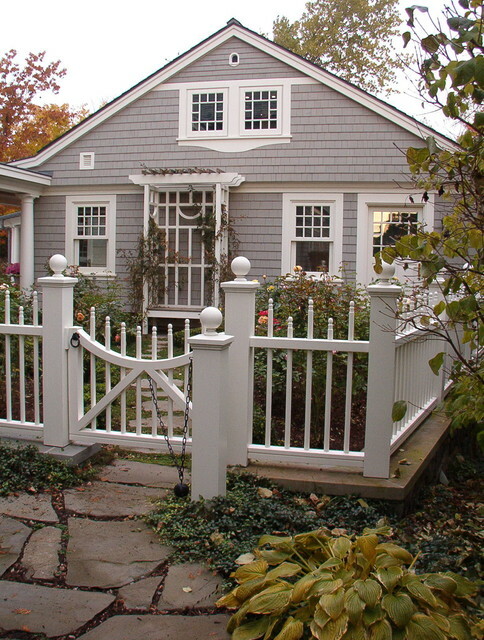 Open fencing with thin, upright rods will help create the feeling of verticality so beloved by Gothic architects. Los Altos, CA - Lundy Ln.